Hello! My name is Olive , a Certified Public Accountant from the Philippines. I graduated with the degree of Bachelor of Science Major in Accounting. Currently working as homebased accounting staff from an Insurance company in USA. I used to work in Dubai UAE as Senior Accountant in a Shipchandling Company for 10 years. Prior to my work in Dubai, I worked as a freelance Public Accountant doing bookkeeping, audit and tax compliance. My hobbies are making powerpoint presentations , Canva Design , Playing with my dogs, cooking, and watching tutorials on you tube. I want to become an ESL teacher because I love meeting new people, learning foreign cultures and a passion for sharing knowledge to others. Optimistic, goal oriented, with good sense of humor and easy to get along with. I will be best suited for beginners and intermediate level students"
Teacher Olive is a Certified Public Accountant from the Philippines. She graduated with the degree of Bachelor of Science Major in Accounting. Currently working as homebased accounting staff from an Insurance company in USA. She used to work in Dubai UAE as Senior Accountant in a Shipchandling Company for 10 years. 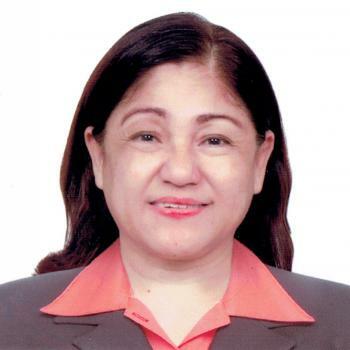 Prior to her work in Dubai, she worked as a freelance Public Accountant doing bookkeeping, audit and tax compliance. Her hobbies are making powerpoint presentations , Canva Design , Playing with her dogs, cooking, and watching tutorials on you tube. She wants to become an ESL teacher because she loves meeting new people, learning foreign cultures and a passion for sharing knowledge to others. Optimistic, goal oriented, with good sense of humor and easy to get along with. She'll be best suited for beginners and intermediate level students"
Thank you for your meaningful lesson again.